​Manchester City will look to keep the pressure on Premier League title rivals Liverpool when they face Chelsea on Sunday. Check out 90min’s preview for the ​hotly contested fixture below. History is on Chelsea's side, with the Blues having won 67 of the 161 professional meetings of these two clubs. Manchester City trail with 55 victories, leaving 39 stalemates. Guardiola's side edge the recent fixtures, having won seven of the last 15 meetings. Chelsea are just one behind on six victories, with this fixture ending in a draw twice in the last five years. Guardiola's side then suffered another setback with a shock defeat to strugglers Newcastle and had to recover again to secure victories over Arsenal and Everton. It's been a strange sort of season for the Citizens, who haven't quite managed to reach the heights of last year. Sarri's side also received a shock 4-0 thrashing at the hands of Bournemouth recently but responded by handing out a 5-0 hammering of their own to Huddersfield the following week. Chelsea's biggest struggles have come on the road recently, losing all three of their away fixtures so far this year. 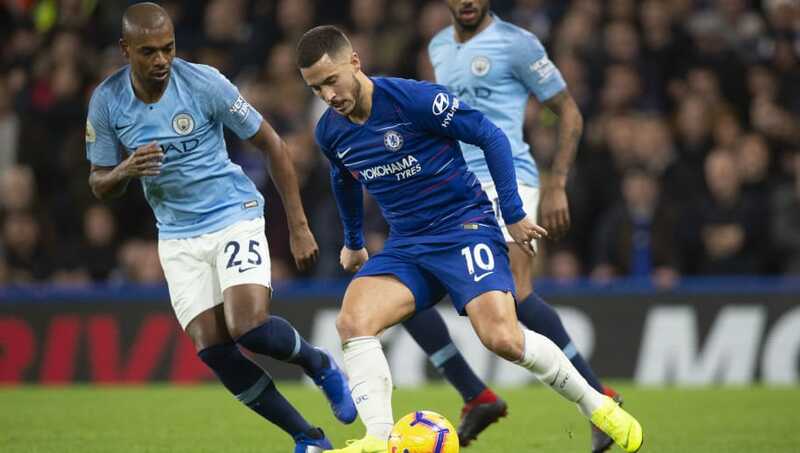 Compare that to Manchester City's 2019 home form of six victories and a goal difference of plus 27 and it paints a troubling picture for Chelsea. Don't expect Sarri's side to roll over but it's hard to foresee anything other than a Manchester City victory.